I love the new interior, with a shift towards a more horizontal design of the dash, and it’s a huge improvement over the previous version. The entire experience screams “luxury sport sedan” with its cockpit feel and potential buyers in the market will certainly be impressed. With the F Sport option, drivers get a driver’s meter cluster with a moving center ring inspired by the Lexus LFA supercar, along with an F Sport steering wheel and shift knob, and aluminum pedals and scuff plates that include the Lexus logo. The new IS is slightly longer, so the leg room has improved with .9 inches in the front and 1.6 inches in the rear. You also get 60/40 split folding rear seats which offers handy flexibility when it comes to storage space. Naturally the IS is tricked out with all of the technology features and options you’d expect from this segment, and the HD weather and traffic features are standard and subscription free. One cool feature involves the ability to “cache” the radio stream for up to 15 minutes, so if you get interrupted with a call as a close game is winding down, you can basically pause and resume without missing all the action. The engines available for the 2014 IS carry over from the previous model. The IS 250 is powered by a 2.5 liter V6, while the IS 350 features a 3.5 liter V6, so you can recognize where the names come from. 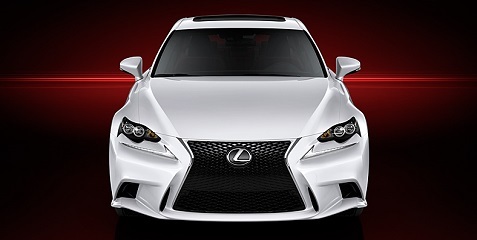 The IS 250 engine generates 204 horsepower and 185 lb-ft of torque, while the IS 350 features 306 horsepower and 277 lb-ft. With both versions you can choose between rear-wheel drive and all-wheel drive, along with the F Sport trim. Each model comes with the same 6-speed automatic transmission, while the IS 350 RWD features an eight-speed, Sport Direct Shift (SPDS) automatic transmission. I was happy to see that the IS offers up to four switchable driving modes- ECO, NORMAL, SPORT and SPORT S+ (S+ available on IS 350 F SPORT only). There’s no manual option unfortunately (so few buyers American buyers select it) but all of the have paddles for manual shifting. 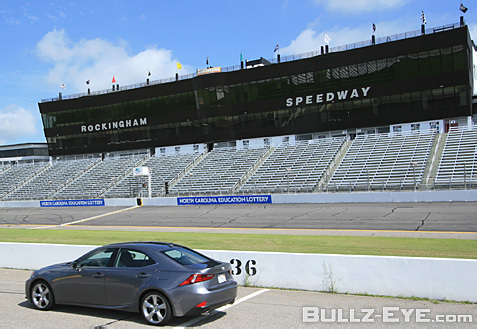 Lexus focused on improving the suspension and grip for the all-new IS, and we got to feel the results on the track. Lexus provided a 2013 IS 350 for comparison, and while it performed very well I definitely noticed the improvement in the 2014 models. The handling and grip for each IS we drove was very impressive as the track course was laid out so we could really push the vehicles. The cars also fared well when we took them out on normal roads later in the day. 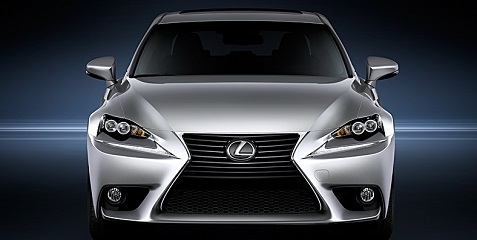 The base 2014 IS 250 RWD starts at $35,950 the IS 350 RWD starts at $39,465. I recommend going with the AWD upgrade for around $2,500, while many will consider the F Sport package upgrade for $3,000. I loved the F Sport package, but I would probably lean towards the IS 350 AWD. The entry-level luxury segment is packed with impressive models from a wide variety of brands, but even in that competitive environment the Lexus IS will grab your attention with its styling and performance. This is not your father’s Lexus, and I expect younger buyers and professionals to flock to this car.